The Nissan Leaf is the World’s Bestselling Electric Vehicle. Why Isn’t it in the PH Yet? 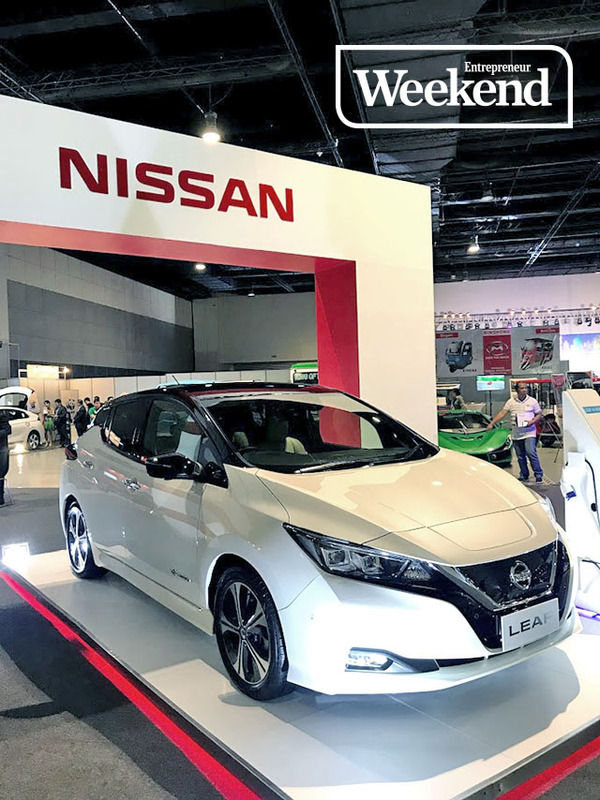 All eyes were on the Nissan Leaf displayed at the 6th Philippine Electric Vehicle Summit held recently at the SMX Convention Center. Interest in the world’s bestselling roadworthy electric vehicle is high even though it has yet to be made officially available in the country. 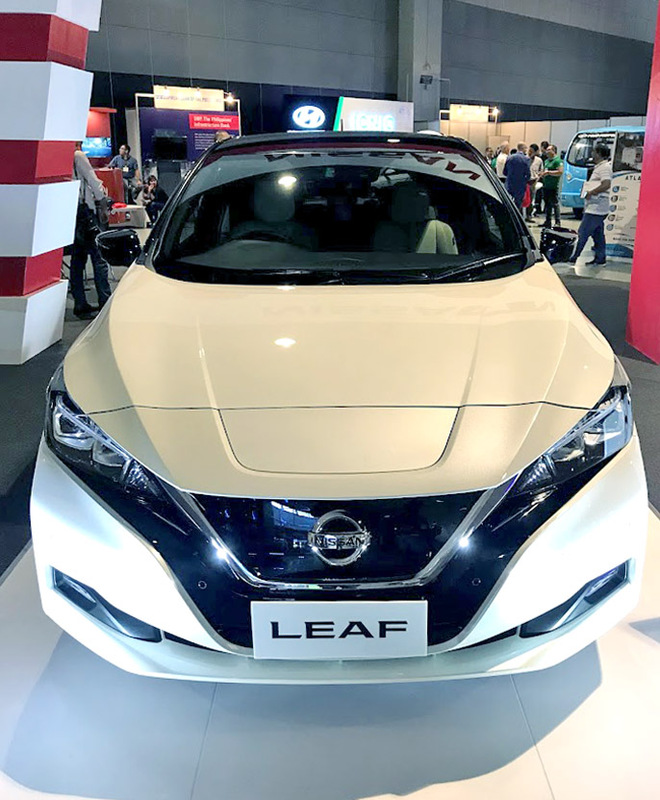 Seven other Asian countries are getting the Leaf in a major roll-out over the coming months. Thomas pointed to getting the conditions just right for Nissan to introduce their bestselling electric vehicle brand locally. Introduced in October last year, the new Leaf’s battery is much larger, resulting in a much longer range. The car is capable of driving from 250 to 270 kilometers per hour on a single charge, which Thomas said is suitable for everyday use. One other innovation in the new Leaf is its e-pedal, which allows users the ability to drive with a single pedal. Thomas explained that it achieves this through a combination of “regenerative braking” and the use of the e-motor to slow the vehicle down and add power back into the battery. The feature also adds another layer of excitement to driving, which Thomas said is what Nissan is all about. 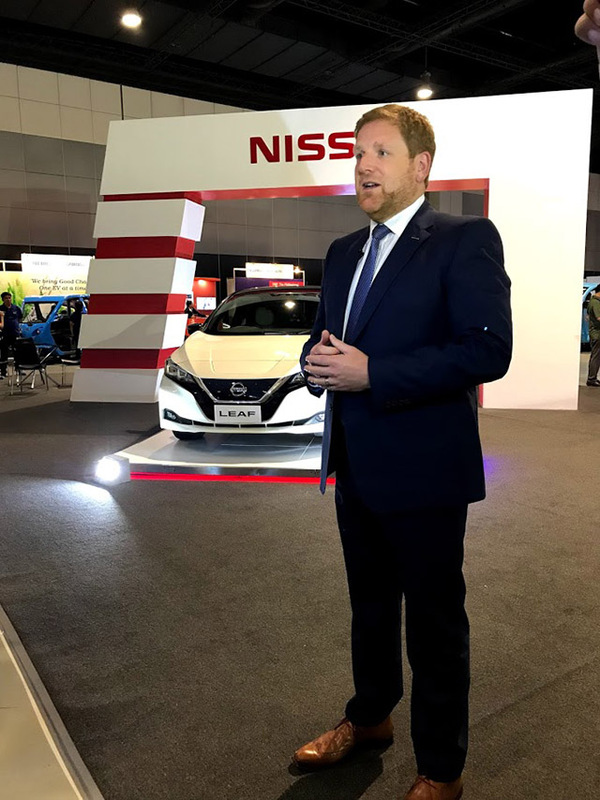 Thomas, who is British but based in Tokyo, Japan, also appealed to the local government to support the campaign for more EVs in the country through incentives for manufacturers and distributors. While there is no single government program or initiative, there are several policies from different agencies to spur the growth of EVs in the country. Among these are EO 488, which provides zero tariffs for parts and components for EV and hybrid assembly; the public utility vehicles (PUV) modernization program; provisions in the Tax Reform for Acceleration and Inclusion (TRAIN) law that grants exemptions in additional taxes and 50-percent tax rates for hybrid cars compared to non-hybrid automobiles; and additional incentives from the Department of Trade and Industry’s Bureau of Product Standards and in the investment priority plans of the Board of Investments. Related story: Almost Half of Future Car Buyers in PH Are Open to Electric Vehicles: Are You One of Them? In addition to incentives, Thomas also asked relevant government offices to get the required charging stations of EVs in place. “I’m sure that’s coming,” he said. “Charging is something that people tend to think about a lot as a big ‘blocker.’ To me, it’s not at all because 90 percent of all EV charging happens at home. As long as you can plug the cable into your wall socket or if you’ve got space for a dedicated wall box in, then you can charge at home and that serves almost all of the people’s needs. Over 300,000 Nissan Leafs have been sold worldwide since it was first introduced in 2010 up until January 2018. The company hopes to unveil a total of eight new EVs or electric-powered vehicles and sell a total of one million EV units by 2022. Despite this massive game plan, Thomas said Nissan, as one of the world’s largest carmakers, isn’t about to completely abandon the other vehicles in its range.